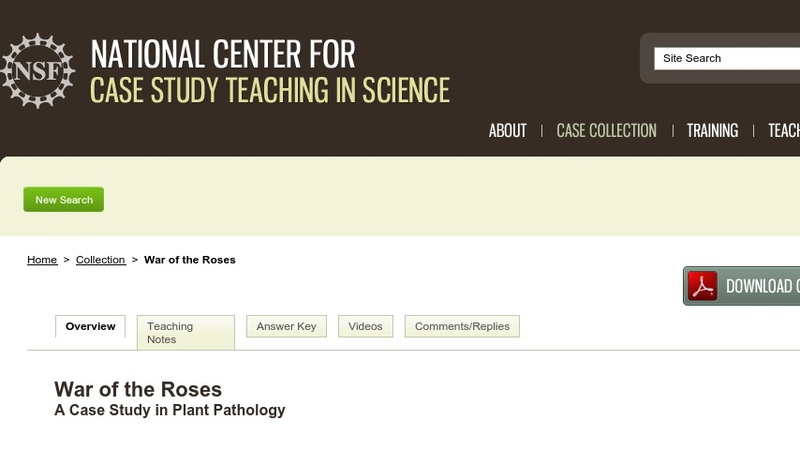 In this case, students use lab techniques to determine how the protagonist of the story, a student in a plant pathology class, can find out what is wrong with his mother’s roses. The case introduces students to sources of information for the proper diagnosis of plant diseases as well as methods of controlling plant diseases. Developed for the introductory laboratory in a basic upper-level undergraduate plant pathology course, the case could also be used in other courses such as introductory agriculture, horticulture, botany, and biology, where there is an interest in the diagnosis of plant diseases.